Big uni-bobber post stimulators for turbulent water. Centipede legs to add to the 'bugginess". 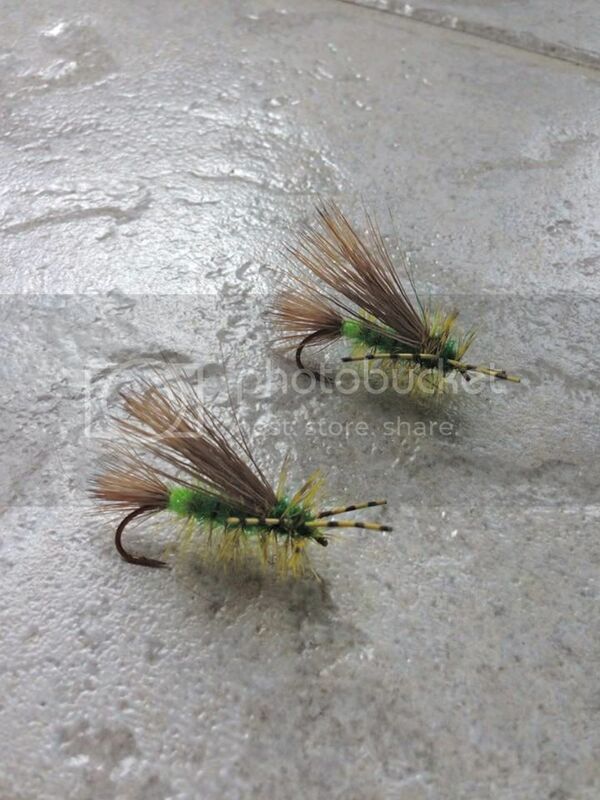 Good attractor pattern for large trout. 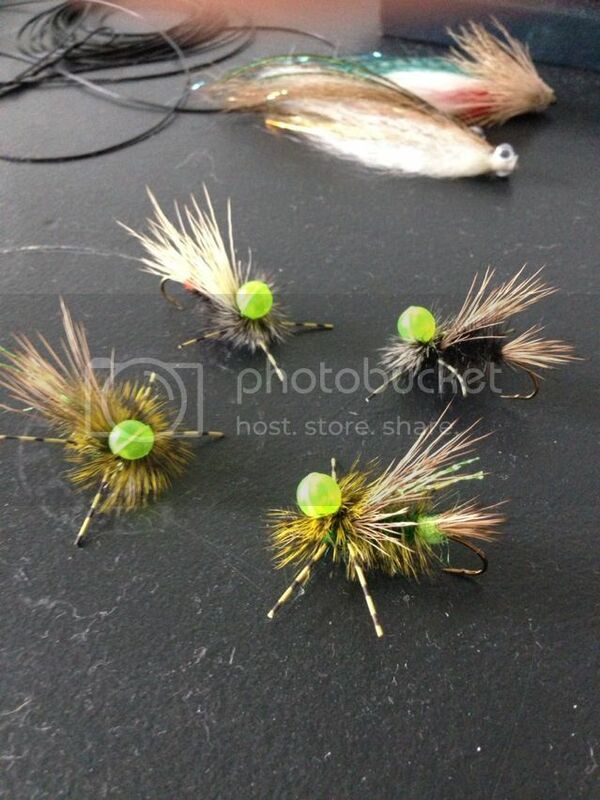 Very nice flies. What is the post? Looks like a plastic ball. They are called uni-bobbers. Little plastic ball with a loop on the bottom that you put over the hook shank. Then secure with figure 8 wraps. 'Every single turn of the thread better have a damn good reason for being there'. Helps it float, its air filled and its highly visible. Just thought I'd try a few in some fast riffles. More traditional take on the stimulator.